Welcome to Hull York Medical School: the joint medical school of the Universities of Hull and York, and home to one of the UK’s most exciting and innovative undergraduate medicine programmes. We pride ourselves on producing confident, compassionate and work-ready doctors, whose training has armed them with the scientific knowledge, empathy and resilience they need to thrive in the modern healthcare world. We’re committed not just to training doctors - but training brilliant doctors. So if you’re full of potential, passionate about delivering exceptional healthcare and truly making a difference to patients’ lives, but don’t yet meet the academic requirements of our five-year Medicine programme, the MB BS Medicine with a Gateway Year programme could be for you. The MB BS Medicine with a Gateway Year is a six-year programme. The Gateway forms the first academic year, and on successful completion you will automatically progress to our five-year MB BS Medicine course. The Gateway Year focuses on facilitating your transition from school or college to university, bringing your scientific knowledge up to the required standard, and enhancing your study skills while teaching you about professionalism and the NHS. You will experience clinical placements in a GP and hospital setting from the very start of the programme, coming into contact with real patients as you begin to develop the excellent communication skills and confident, empathetic approach to delivering care that are the hallmark of our graduates. This hands-on experience will be supported by a combination of small group teaching, self-directed learning, lectures and clinical skills sessions, ensuring you are able to transition smoothly and confidently into life as a medical student. Medicine with a Gateway Year students learn in the brand new £28-million health campus with the stunning Allam Medical Building at its heart. The building provides an aspirational teaching and learning environment where you will rub shoulders with other healthcare professionals in training, including nursing, physician associate and midwifery students. This programme is a Widening Participation initiative and prioritises applicants from the Hull York Medical School area, who have a passion for delivering excellent healthcare. These modules will help you transition from your science level in biology, chemistry and mathematics, to the standard required for Year 1 of the MB BS Medicine programme. The modules will also include taster year 1 lectures and anatomy sessions, where you will experience a sample of what will be studied in the following years. In addition, Human Biology II will also cover extended A Level content where you will develop a basic understanding of other sciences that underpin medicine, including microbiology, biochemistry, pharmacology, tissue structure and anatomical terminology. This module provides an introduction to clinical and communication skills. You will develop your communication skills and begin to appreciate and display the appropriate communication in a variety of settings, such as with your peers, teachers, clinical and healthcare staff and patients. This module also introduces basic clinical skills, including using a stethoscope. In this module, you will gain an overview of the health service and the importance of societal and psychological context of health and health care, the people who work in it and the issues it faces. You will gain an understanding of how inter-professional teams work to deliver holistic care to patients in hospital and in the community. You will also gain an appreciation of the fundamental principles of health economics. This module will give you an introduction to professional and ethical behaviours in the study and practice of medicine. The module will cover the principles of ethics, basic professionalism (including digital professionalism), the role of the General Medical Council, good medical practice and reflective practice. This module will support you to develop your study skills needed for the course and for transition to year 1 of the MB BS Medicine programme. It will cover topics including learning and revision skills, introduction to referencing and academic integrity, how to work in teams (including the basis of problem based learning), developing your reflective practice skills, understanding basic statistics in research papers, and personal wellbeing during your studies. Following successful completion of the Gateway Year, you will automatically progress to the MB BS Medicine programme. 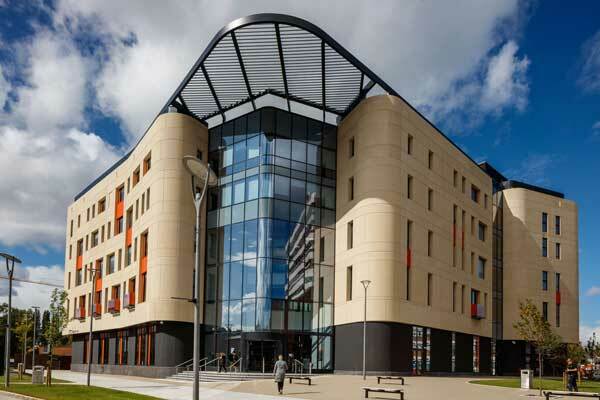 As we are a partnership between the University of Hull and the University of York, you can choose to be based at either university as your preferred home campus for your MB BS Medicine studies. Wherever you are based, you will follow exactly the same curriculum and obtain the same level of expertise and skills from academics, clinicians and tutors. Our partnership allows you to access the very best facilities, support networks, research opportunities and academic expertise that the two universities have to offer. Add to this the unique breadth of clinical experience we offer and you can be sure you will be equipped to deliver brilliant healthcare. We strive to provide a supportive and encouraging learning environment. Our tutors and staff take the time to get to know you personally, making sure you are supported on your journey to becoming a doctor, and our dedicated in-school student support team is always available to offer help and advice. As a Hull York Medical School student, you will have access to our award-winning libraries and powerful virtual learning environment. We also have a dedicated student support team, who are there to help if you have any confidential queries or concerns. If you’re considering studying Medicine with a disability, our step-by-step guide explains the range of practical and financial support available. Your progress will be assessed using a combination of methods, including written exams, practical skills assessments, portfolio submission and group presentations. Following successful completion of the Gateway Year, passing each of the six modules, you will automatically progress to Year 1 of our MB BS Medicine programme. University of Hull accommodation is guaranteed for Gateway Year students – with free WiFi, plus utility bills and insurance included in the rent. 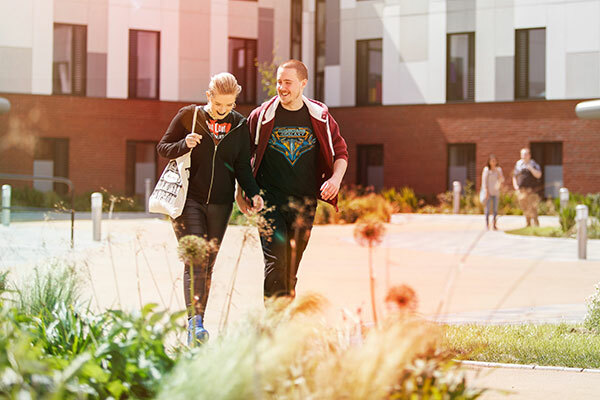 Choose from halls of residence; shared houses and flats; on campus or off campus; catered or self-catered; to suit a variety of variety budgets. A Levels: BBC (B grades must be in Biology and Chemistry). Maximum predicted grades: AAB. A Levels should normally be completed within a three-year period. Resits within this three-year period are accepted. GCSEs: 5 GCSEs grade A*-C/level 9-4, including English Language and Mathematics at grade C/level 4 or above. Resits are accepted. UCAT: Applicants must take the UCAT in the calendar year of application and achieve a Situational Judgement Test band of 1, 2 or 3. Extended Project Qualifications (EPQs): We recognise the value of this qualification although it will not be included as a condition of entry. It may be taken in to consideration when you receive your results. We do not score your personal statement, however it will be read and may help inform a decision about your application. We run a multi-station interview process, which includes one-to-one interviews, a group task, and a test scenario, which will each be assessed by an interview panel. The top scoring candidates will then receive an offer to study at Hull York Medical School. If you are holding an offer for the MB BS Medicine with a Gateway Year, but your subsequent academic performance meets the requirements of our five-year MB BS Medicine programme, you may be able to bypass the Gateway Year and progress straight to Year 1 of the MB BS programme – either that year if space allows, or by deferral if necessary. For more information please visit our interviews page. The tuition fee will mirror the annual fee of the five-year MB BS Medicine programme. For 2018/19 entry this is currently £9,250 per year. However, further increases within the government fee cap may apply in subsequent academic years. If you wish to pay your tuition fees, you will need to make tuition payments to the University of Hull during your Gateway Year. Tuition fees can be paid in full at the beginning of the academic year or in instalments. Visit the University of Hull website for details about how to pay tuition fees. If you are from England, you can apply to receive a Tuition Fee Loan from Student Finance England during your Gateway Year (year 0) and Years 1-3 of the MB BS Medicine programme. In Years 4 and 5 of the MB BS programme, if you are from England or Wales, your tuition fees will be paid to the university by the NHS. The Maintenance Loan, also from Student Finance England, helps with living costs. The amount you receive will depend on your residual household income. In your Gateway Year (year 0) and Years 1-3 of the MB BS Medicine programme: You will be entitled to the full amount in your Maintenance Loan offer from Student Finance England. In Years 4 and 5 of the MB BS Medicine programme: You may be entitled to a reduced Maintenance loan. You may be eligible to an NHS Bursary to help towards living costs during your fifth year (please see NHS Bursaries information below). Like the Tuition Fee Loan, you will start paying this back after you have left university and are earning over £25,000. Please see the UK Government website for further information. If you are from England or Wales, the NHS will cover the costs of your tuition fees in year 4 and 5 of the MB BS Medicine programme. You may also be eligible to apply for an NHS Bursary towards your living costs, depending on your circumstances. To apply for an NHS Bursary you must be living in UK, the Channel Islands or Isle of Man for at least 3 years before the start of your course. NHS bursaries do not have to be repaid. Please see the NHS Student Bursaries and Student Finance - NHS bursaries websites for further information. Please apply for the MB BS Medicine with a Gateway Year via UCAS by 15 October 2019. Our UCAS institution code is H75. The UCAS course code is A101. Places to study on this programme are offered conditional on a satisfactory health check and enhanced criminal records check.